How Old is Petra? Who Built Petra? Petra is old, very old. It’s so old that evidence has been found that indicates a settlement in the area since prehistoric times. The UNESCO World Heritage Site that we see today is a much more recent addition to this ancient place having been built by the Nabateans in the 4th century BC. While the Petra we see today was being founded the Celts were invading Ireland, the Romans were ominously starting to conquer their neighbours (we all know how that ended up) and Alexander the Great had finished conquering the biggest empire the world had ever seen. 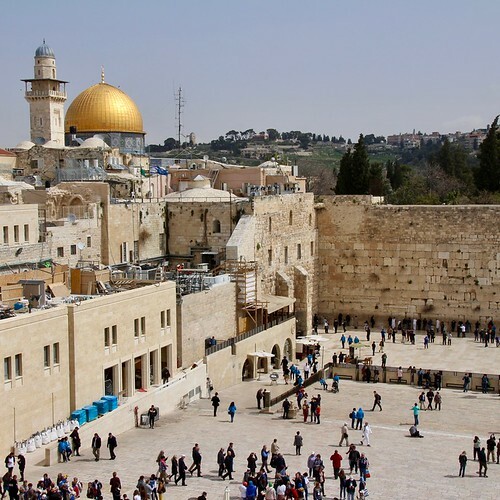 In the last 1300 years it has changed hands multiple times being ruled by the Romans, Byzantines and Crusaders at various times (evidence suggests that by the time the Crusaders occupied Petra it was already deserted). It was lost to the Western World after it fell out of Crusader hands in the 12th century. It appears after the departure of the Crusaders the cit fell into further disrepair and was again left to the local nomadic tribes. The main reasons for its abandonment seem to lie first in an earthquake that shook the area in 365AD which destroyed the intricate water system and weakened many buildings. Secondly, it appears that after the collapse of the Roman Empire the trade routes, which the Nabateans had relied on, no longer passed through Petra which resulted in a huge loss of wealth. 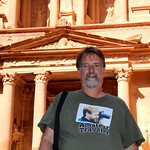 Petra is located in the Ma’an Governorate, Jordan and is a good 3 hour drive away from the capital city of Amman. 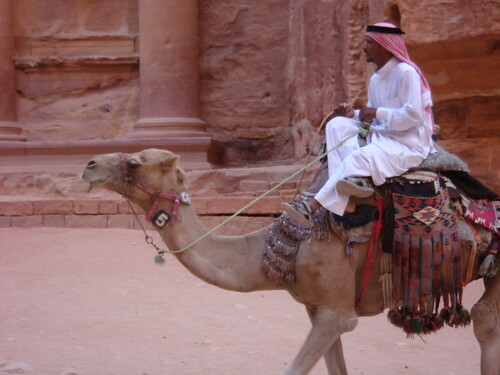 Full admission for the city of Petra is 50 Jordanian Dinar or £55/$70 a day. You really want a few days to explore it fully. Motor vehicles aren’t allowed into the site but for those who hate the idea of walking in the burning sun, you can hire a horse and/or a carriage to make getting around a little more comfortable. It is at least 1 km from the entrance gate to the city itself. The most recognisable part of the ‘Lost City’ is probably the Treasury building. There are few things that will prepare you for this site; a 30m wide and over 40m high facade intricately carved right out of the red rock. To a layman’s eyes e.g. mine, the effort, skill and time that must have gone into that is truly astounding; like an ancient Mount Rushmore. The interesting thing about the “treasury building” is that archaeologists aren’t entirely sure what its purpose was. In fact it has been touted as a tomb, treasury or bandits’ hideout. Unlike in the Indiana Jones and the Last Crusade, there is no interior so tomb is the most widely accepted explanation. Next up has to be the fascinating Tomb of Aaron which is perched on top of the aptly named Jabal Harun or Aaron’s Mountain. A fairly simple structure compare to the wonders of Petra it is supposedly the burial place of Moses’ brother Aaron. This idea resulted in a 14th century mosque being built near the site. Unfortunately, for those who don’t fancy a fairly rigorous 800 hand cut step climb up the side of the valley you’ll miss out on my favourite site in Petra. 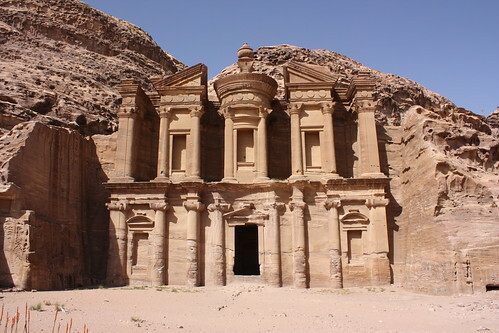 The fabulous Ad-Deir Monastery is built in the Greek style so common to Petra. It was built in the 1st century BC when Nabatean prosperity was at its peak; as they generated vast amounts of wealth due to their strategic position along the trade routes from Asia, Egypt and the Roman Empire. It is 50 metres wide and 45 metres high so you can’t miss it. These are just some of the spectacular sites you can expect to be faced with if you visit this ancient and deserted city. 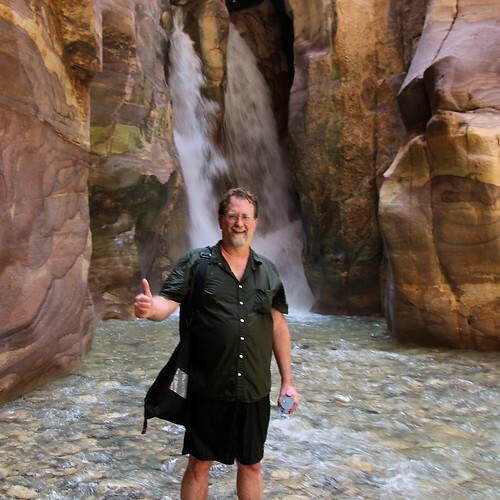 It is recommended that you set aside a few days so you can explore the wonders of Petra at your leisure. There are Roman ruins including a 3,000 seat theatre, Egyptian style obelisks as well as other temples and alters along the winding streets. If you’re one of those people who has to know everything about what they see then why not amuse yourself in one of the two on site museums, whilst your partner browses one of the many stalls set up by locals where you can buy hand-made crafts. As wonderful as Petra is in the day, I highly recommend enjoying the city at night either on a walking tour or a donkey ride. This is a great option for those seeking a bit of romance out of the hot sun. Although I have to warn tourists here, specifically female tourists, that you should be alert especially when traveling alone. 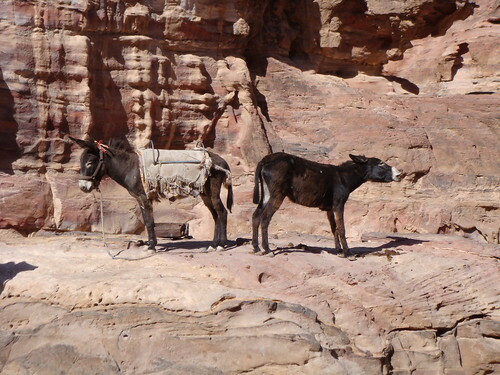 There have been rare cases of tourists being assaulted by their donkey tour guide; although this is very rare I would urge caution. All-in-all by the end of your trip you’ll know why Petra is frequently referred to as the Eighth Wonder of the Ancient World.